22.9 GB download size Too large to download? Choose hard drive delivery at checkout. Mac system requirements Mac OS X 10.10 or later Minimum: 2.8GHz i5 (dual core), 8GB RAM, 35GB free HD space. Recommended: 2.5GHz i7 (quad-core), 16GB RAM, 35GB free HD space. PC system requirements Windows 7, Windows 8, or Windows 10 (latest Service Pack, 32/64-bit) Minimum: 2.8GHz i5 (dual core), 8GB RAM, 35GB free HD space. Recommended: 2.5GHz i7 (quad-core), 16GB RAM, 35GB free HD space. Please note that you MUST use the latest version of our Spitfire Audio App to install this product. 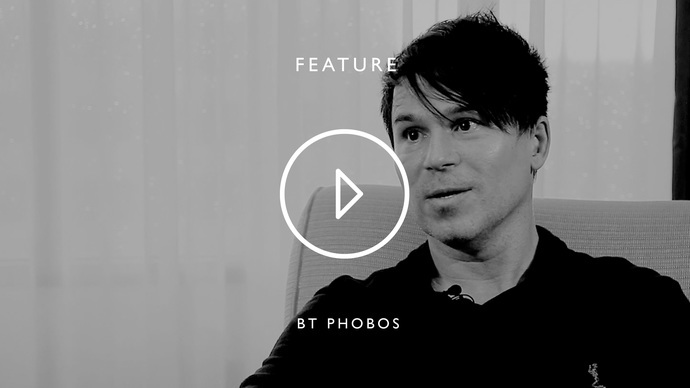 Together with Spitfire, BT has combined over 20GB of his own personal bespoke new libraries (following on from Breaks from the Nu Skool and Twisted Textures) into a convolution synthesis engine that allows you to sculpt, filter, rhythmically cut and pulse impulse responses that are tonal, melodic and harmonic. Most importantly you can play them polyphonically. 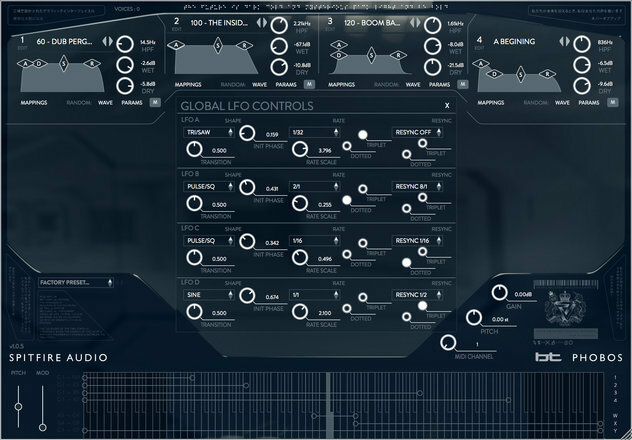 This synthesizer, sound engine and bespoke library package represents years of diligent searching for new awe-inspiring sounds and sound design techniques. 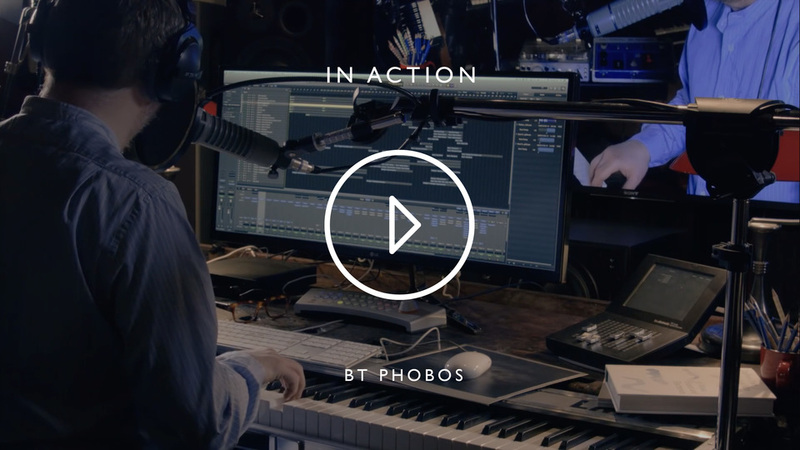 If you, like BT, are looking for a new wave of inspiration for your compositions that are evocative, emotional, expressive and truly new, you owe it to yourself to check out Phobos. It is a well of endless inspiration. 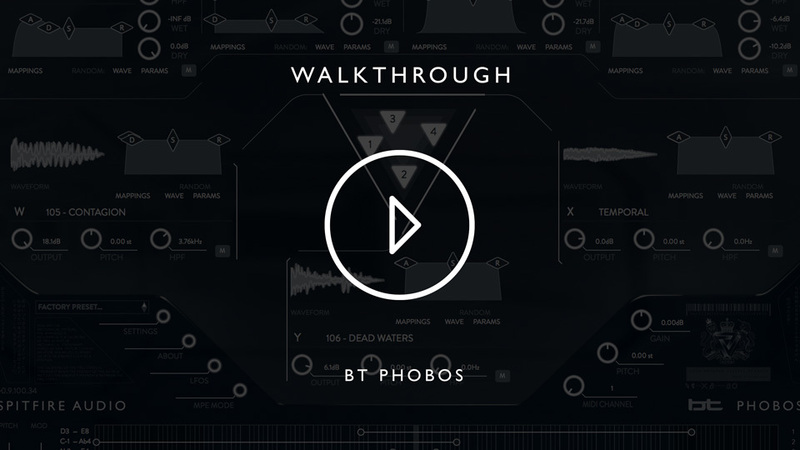 One of the greatest solutions Phobos provides is for composers wanting to engage their audiences for extended sequences and cues without things sounding repetitive or ‘loopy’. 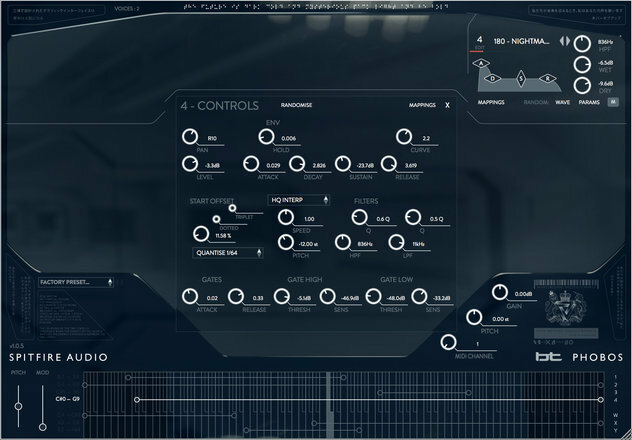 Phobos allows for an all new real-time interface interaction that allows the user to evolve, warp and transform their molecular patterns according to nuanced changes within a scene. One of Mars’ moons? A synthesizer? A tool for creating massive cinematic and electronic rhythms? 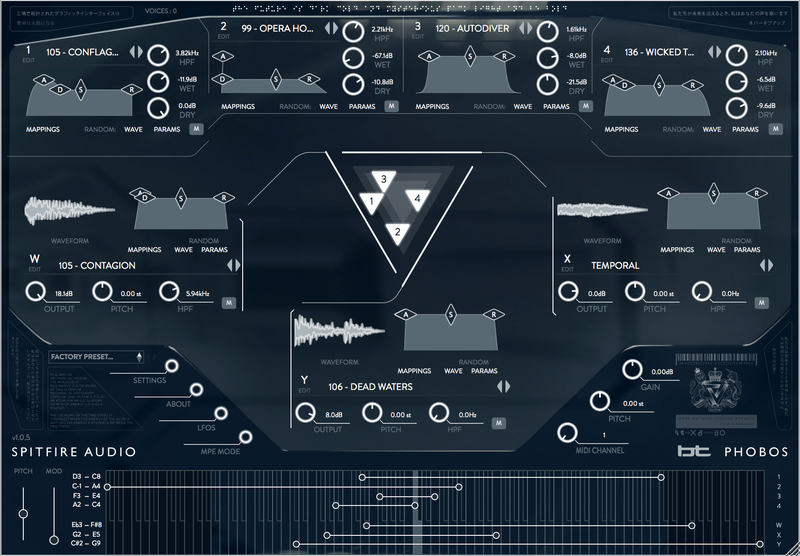 An engine for endless spectral combinations of wide, lush pads and ambiences with propulsive rhythmic figures? Is it a sound library of bespoke percussion, beats, micro rhythms, field recordings, live acoustic and orchestral treatments, textures and a massive vintage synthesizer collection? That is just scratching the surface. 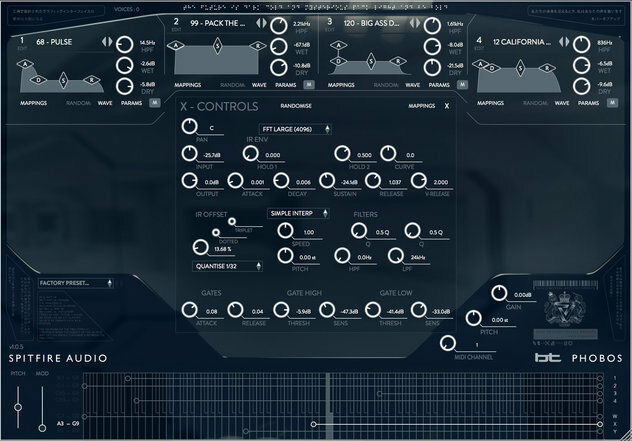 At its core, Phobos is a synthesizer based on the unexplored precept of polyconvolution as a synthesis engine. BT came up with this idea many years ago doing sound design. What does that mean exactly? 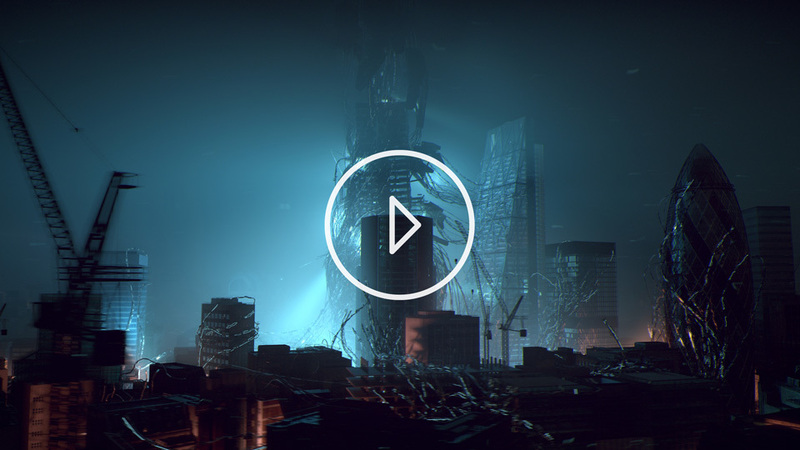 Polyconvolution as a synthesizer? Well, it means instead of using convolution for reverb or modeling an amplifier's distortion circuit, why not make a “reverb” impulse response tonal? Combining something rhythmic with something tonal (as an impulse response) yielded some of the most modern, liquid and percolating ambiences and textures BT had ever heard. These are the kinds of sounds he has been searching for whilst scoring; those elusive sounds where the director asks for “movement and a feeling of drive, yet subtly”. 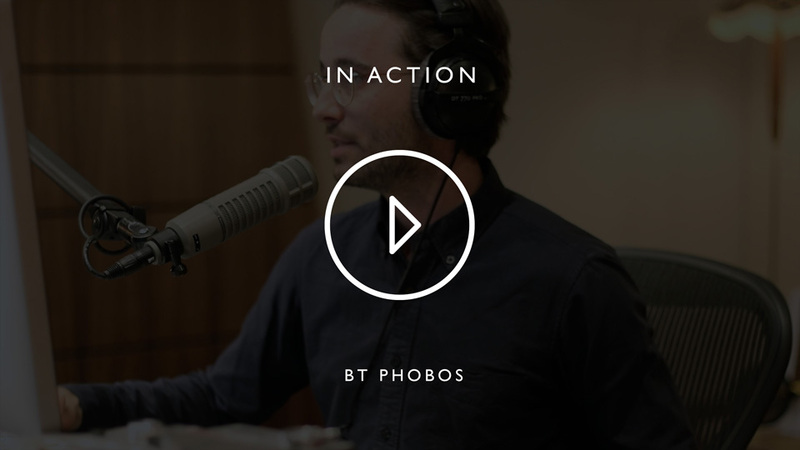 That’s not to say that Phobos only excels at subtlety - it can sound massive, driving and aggressive, like an army of monsters in its scope and power. Plugin that loads directly into any DAW that supports VST / VST3 / AU / AAX. 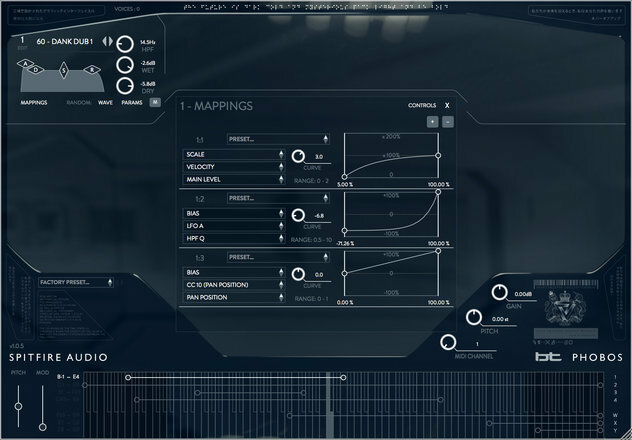 The ability to automate many of the fantastic and unique controllers is central to the vision of Phobos, which is why modulation mappings - the way in which functions are mapped and then ‘modulated’ (or changed) in realtime or automated via controllers - are key to many of our presets, and are applied both to Source/Convolver. A set of controls to further adapt each Source such as ADSR, start offset, filters and gates. A set of controls to further adapt each Convolver and its impulse response. 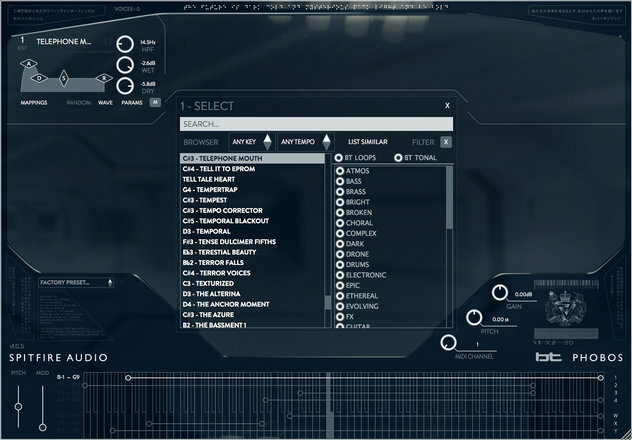 This is very similar to the controls for the sources and provides all the same functionality for the convolvers. 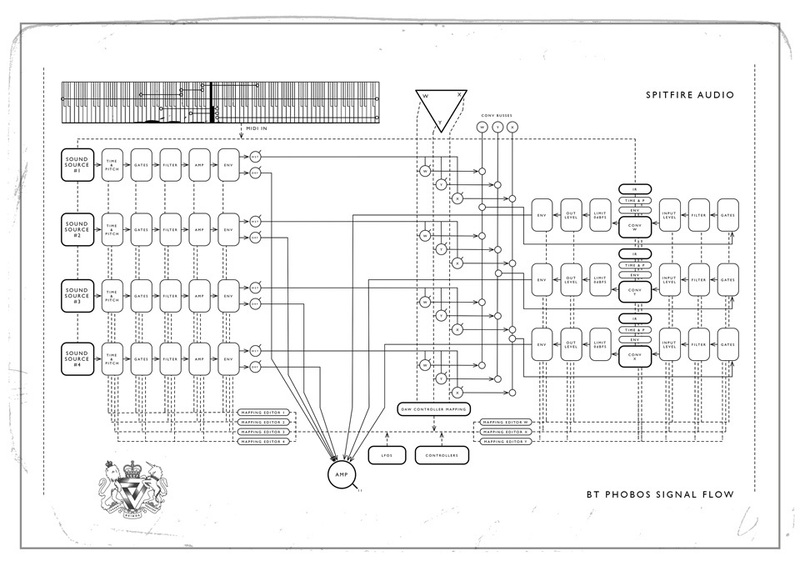 Controls for the LFOs. There are four independently configurable LFOs that can be used to control your parameters by selecting them in mappings.